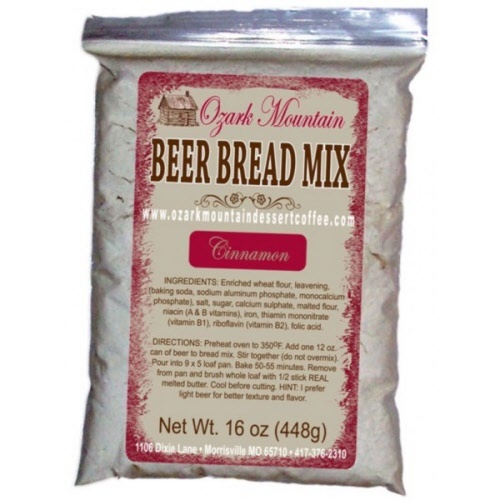 This mix contains everything you need for a delicious cinnamon bread. Just add one 12-0z. can of beer to one package of the mix (I prefer light beer for the best texture). Stir together and pour into 5" x 9" baking pan (sprayed with cooking spray). Bake at 350 degrees for 55 minutes. Remove from oven and cover with REAL melted butter. Return to oven for 5 minutes. Cool before cutting. Add raisins and/or nuts when you add the beer. This Is an old-fashioned white bread like Grandma used to make.Serve warm with butter and jelly for a real treat! This IS an old-fashioned white bread like Grandma used to make. Serve warm with butter and jelly for a real treat! Add nuts and/or dried fruits - raisins, craisins, apricots, etc. Or cheddar chesse when you add the beer. Our Garlic and Herb mix contains everything in it to make a delicious Italian Garlic bread. Dip into a garlic-flavored oil and vinegar mix for a special treat -- especially good served with pasta dishes. Garlic and Herb mix is our top seller! Cheese Bread -- Use Garlic and Herb Mix and add 2/3 cup shredded cheese with the beer. Parmesan or sharp cheddar are very good. Add fifteen minutes to baking time. Other Suggestions -- Add bacon bits and/or chopped onions. 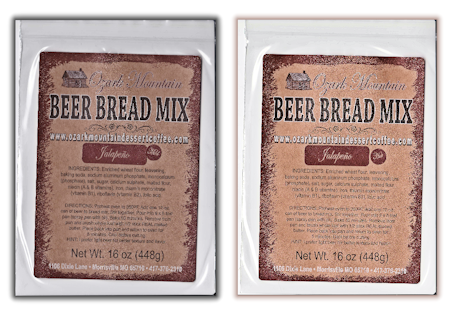 Jalapeno Beer Bread available in "Mild or Hot"
Our newest beer bread flavor is Jalapeno. There are two types to choose from: Mild or Hot. The Mild one has a full Jalapeno flavor with just enough heat to make it interesting. If you want more kick, the Hot one has the same full Jalapeno flavor with some added ingredients so you can really taste the Heat!! For variety you can add 2/4 cup chredded cheese (pepperjack, cheddar, etc.) when you add the beer. Blended with mixture of 7 different herbs and spices. 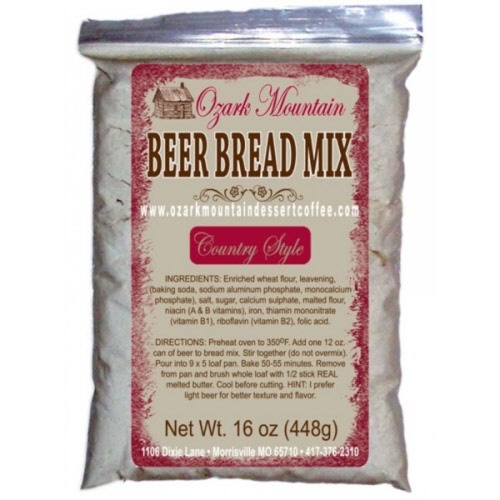 Same easy preparation as our other 5 flavors of beer bread. Very good served with our Extra Virgin Balsamic Dipping Oil.